On March 12, 2017, Gil Gershoni and April Durrett spoke in front of a sold-out audience at Austin's annual South by Southwest. In their dual presentation, Gil and April shared their unique approach to solving problems—Gil as a creative director with dyslexia and April as a creative strategist who employs a more traditional, linear way of thinking. Together, they used the lens of dyslexia not only to look at a problem but also through it, around it, above it and below it to unlock the best possible solution. They demonstrated how others can harness neurodiversity in their own lives by transforming a disability into a hyper-ability. 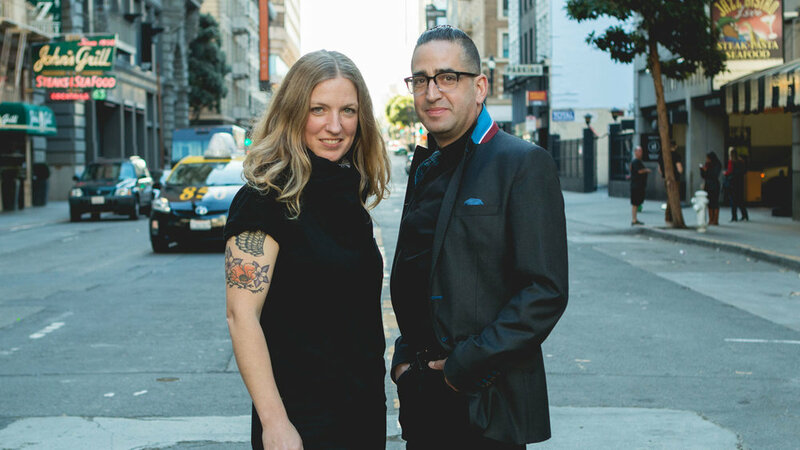 Over the past decade, Gil Gershoni and April Durrett have woven creative and communications into winning brand narratives at Gershoni Creative Agency. Gil is the founder and creative director of Gershoni, where he develops breakthrough strategy and design for evolving clients. He’s spent 20 years working with clients like Google, Apple, Deloitte, Patrón, San Francisco Art Institute, Umpqua Bank, BBC and Nike, and his work has been featured everywhere from the Sundance Film Festival to the Whitney Biennial. A noted lecturer, Gil is a member of the International Academy of Digital Arts and Sciences, judging the Webby Awards’ Best Practices category. He also serves as a senior advisor to UC Berkeley’s Center for New Media and frequently consults with national design schools on design and new media curriculum. April’s expertise spans the worlds of brand strategy, industrial design, fine art and technology—a cross-disciplinary melting pot she navigates with an artist’s emotion and an engineer’s mind. With an underground life of a conceptual artist, a motorcycling passion (addiction) and a renegade soul, Gershoni’s chief strategist brings pathbreaking ideas to every project. For more on Dyslexic Design Thinking, click here.